Star Trek guests include Walter Koenig, James Cawley, Barbara Luna, Morgan Sheppard, and Christina Moses. This con combines anime and Star Trek fan subcultures. Props and costumes from all the incarnations of Star Trek. 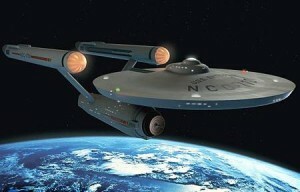 Science fiction con with an emphasis on Star Trek. ST guests include Brent Spiner, Robert Picardo and Ethan Phillips. Star Trek guests include Connor Trinnear, Nichelle Nichols, John Billingsley, Robert Picardo and Nana Visitor. Star Trek guests include Jeri Ryan, Michelle Forbes and Michael Welch. Warren Newport Public Library of Gurnee, Ill. Hosted by Professor John Tenuto, TrekmovieÃ¢â‚¬â„¢s collectibles editor, college professor and Chair of Sociology/Anthropology, this local library event will provide interesting facts about the history of Star Trek collectibles. Experience props from the show and movies, as well as licensed merchandise such as a display of every Hallmark Christmas Ornament, at the Eberswalde Museum.